There are few more impressive members of the Government than Roderick James Nugent ‘Rory’ Stewart OBE, FRSL, FRSGS. As the initials after his name suggest, he has in his 46 years racked up notable achievements outside politics in the fields of diplomacy, charity and literature. So it is as one of his admirers that I urge Stewart to think more deeply before embarking on his proposal that jail sentences of less than six months should be scrapped, and replaced with so-called ‘community sentences’. The Prisons Minister has argued that custodial sentences of less than six months are ‘long enough to damage you and not long enough to heal you’. It is clear from this that he regards prison not primarily as a punishment, but as a form of therapy. That is all very well, but it fails to address the concerns of the public, who do, actually, wish to see persistent criminals made to pay for the ruination and trauma they bring to the lives of their fellow citizens. It is because judges are increasingly aware of how inadequate is the supervision overseen by the Community Rehabilitation Companies that they might be more inclined to set a custodial sentence. This is a lesson which governments seem never to learn. An earlier administration advanced an alternative to custody for persistent young offenders, known as the Intensive Supervision and Surveillance Programme. But in 2009 a report declared the programme was ‘failing either to protect the public or rehabilitate the youngsters . . . more than 90 per cent committed further crimes after their period of supervision had ended’. That is far higher than the rate of reoffending by those who have served short prison sentences. Stewart is right that the shorter the sentence, the higher the recidivism: there is a reoffending rate of 60 per cent among those who serve custodial sentences of less than a year, compared with 39 per cent for those sentenced to between one and two years. But given that the latter group would certainly be the more persistent criminals, surely this is evidence of the deterrent effect of incarceration. It suggests that the proper course of action would be to replace six-month sentences with ones of at least a year, rather than to release convicted criminals immediately into the community. There is an obvious reason why Stewart is not proposing such a policy (aside from any visceral dislike he may have of the idea of prison in general): it would — at least in the short term — require the building of more prison cells. And this the Treasury will not provide for. The Chancellor will be a keen supporter of Stewart’s proposal — and thus shift the cost of dealing with crime more onto insurance companies and their policy-holders as burglaries increase (although those less well-off people who are the most common victims of burglaries will often have no home or contents insurance, and there is, in any case, no way of replacing precious items of deep personal value). It is not as if we are currently banging up everyone who has proved themselves a risk to their community. Not much more than a third of those convicted of crimes involving knives are given custodial sentences. This, too, is regarded as good news by the Treasury — as revealed by the Mail a few years ago. That was unforgiveably dismissive of the threat to the public from increasing knife crime: which is why the Violence and Vulnerability Unit of the Home Office complained to MPs last week, ‘regular offenders are not being given custodial sentences, a practice exacerbated by a lack of consistency in knife crime sentencing’. 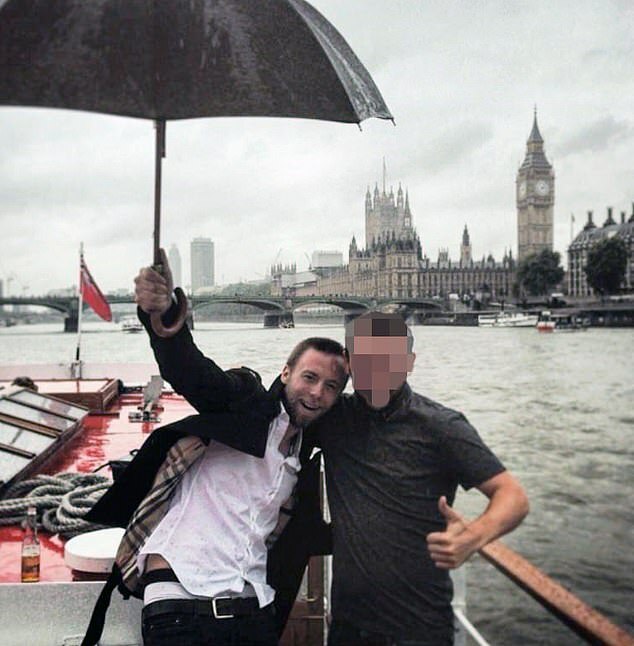 This newspaper has more recently exposed a remarkable indulgence at the heart of the criminal justice system, with our revelations about the case of Jack Shepherd, who went on the run while on bail (after causing the death of 24-year-old Charlotte Brown after he drunkenly flipped his speedboat on the Thames). Extraordinarily, having been convicted of manslaughter in his absence, Shepherd —a fugitive from justice — has still been receiving legal aid for his appeal. It seems the police were not especially interested in recapturing Shepherd. When a friend of the fugitive phoned Scotland Yard’s hotline four months ago offering a specific address where Shepherd could be found, he received no call back. But I have some sympathy with the police, at least on this general point. If the Government increasingly finds ways to ensure that persistent criminals are, when dealt with by the courts, immediately let back into the community, it hardly helps to motivate those whose job it is to nab the villains. Nor does it make sense to tie the hands of judges. 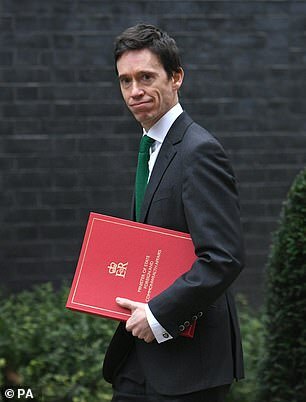 Please, Rory Stewart, let them do their job properly. Unfortunately, he has not felt able to carry out that promise. Yesterday, he made the latest of a series of interventions in the Brexit debate, with a piece in the Sunday Times calling on the Government to revoke Article 50. 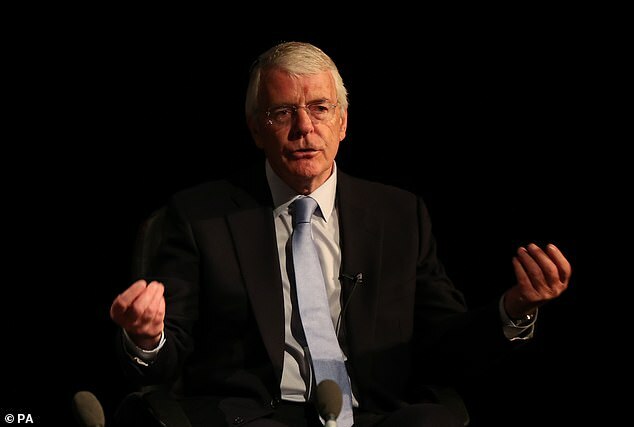 The former PM went on to argue there should then be a period of ‘national consultation’ followed by a ‘further referendum’ which would be ‘binding’ on whether we decided to leave the EU. Major dismisses the objection that this would betray the 17.4 million people who voted Leave in 2016 by asserting that ‘63 per cent of those eligible to vote either voted to stay or did not vote at all’. How desperate of Major to count in aid of his call for a second referendum those who chose not to take part in the first one — as if they were all would-be Remain voters. How stupid he must think we are if we have forgotten that, in 2016, he declared if the result were for Leave, ‘it would not be politically possible to say we’ve reconsidered, let’s have another referendum. If we vote to go out, then we’re out and we have to get on with it’. And how disingenuous he is to argue that revoking Article 50 would be a way of continuing the debate over the UK’s future relationship with the EU. When the European Court of Justice (ECJ) last month ruled that the UK could unilaterally revoke its Article 50 notice to leave the EU, its judges insisted that revocation of the notification to withdraw must be ‘unequivocal and unconditional’. That is what Major is trying to achieve. So it is contemptible of him to have begun his article with an attack on those in the Tory party whom he describes as ‘would-be assassins’ of Theresa May. His own intervention is another knife in Mrs May’s back.